The majority of Lebanese people still do not know the difference between these two important policies, they insure their cars on the basis of law. Yes, insuring your car is important for you to cover the expenses in case of damage. But policies differ, you should keep an eye on what you’re buying and its use. As defined, Auto Insurance Policy in a contract between two parties, the insurance company (insurer or first party) and the client (insured or second party), that protects against financial loss in the event of accident or theft. Third Party Liability Policy is a type of auto insurance, purchased by an insured from an insurer, for protection against the claims of another (third party). It is divided into Elzme and Dod l Gher. Both cover the financial losses caused by the insured to the third parties. 1.Compulsory Insurance (Elzeme): According to the Lebanese Law, every owner of a motor vehicle has to purchase, with a locally licensed insurance company, third party liability insurance covering only bodily injury caused to third parties. 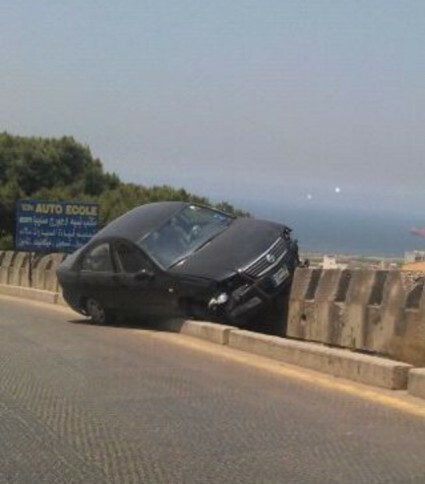 The Lebanese Government has set its price between L.L 65,000 and L.L 90,000 for private cars. It covers up to $500,000 of the injuries. - Covers civil responsibility, only for bodily injuries caused by the vehicle for third parties, whether the driver is the owner of the vehicle or not. - Bodily injuries mean death or any medical expense resulting from accidents, fires, explosions or any part or chemicals related to the vehicle. - The insurer (insurance company) will not be responsible for any expenses that exceed the limits of the sum insured (limits of coverage) that is written within the particular conditions*. 2. Material Damage Covering Insurance (Dod El Gher): It is additional third-party liability insurance to the compulsory but covering only material damage to the third party. Its price is set around L.L 90,000 and covers up to $1,000,000 of the damage. - Covers Civil Liability in respect of material damages sustained by third parties up to the maximum limit set forth in the Policy Schedule. Insurance is one of the most important steps to do once you buy your vehicle, but you have to make sure what type you are holding its costs and uses.